Below is our recommendation on How to Vote for the Lord Mayor – “Leadership Team” ballot. Most voters will send in their return vote within a day of receiving their ballot papers, others will wait until the last week. Their also is a large number of votes that arrive late. Neighbouring municipalities are holding an attendance vote on Saturday October 27. 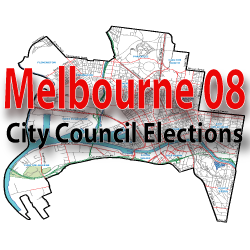 This creates a lot of confusion as the Melbourne ballot ends the day before. Voters who are use to voting on a Saturday and hear reports of other municipalities voting on the Saturday are caught out and their votes are discarded. If they fail to return their vote they are subject to a fine. This makes it some what limiting for the local communities that hold a town hall style meet the candidates meetings next week when many voters have already cast their ballot. Our suggestion is to vote early. Votes can be dropped off at the Town Hall or sent back via the return paid envelope. Please remember to place your ballot in the inner envelope and sign the outer detachable flap. Voters should ignore the recommended group “How to Vote” Preference deal tickets and send a clear message that they think the deals stink. To assist voters in making their selection we have prepared the following recommendations based on the following Voter Support categories. If voting below the line for the Council (7 positions) we would advocate a first preference for Jane Shelton. Jane has the experience and credentials to be our candidate of choice from a Labor Party perspective. If voting Liberal then we would advocate a vote for Fiona Snedden.